In November, I went back to look for it. I took the right turn this time. I realized why most people miss it. The place is too hidden, you have to hike to the place. Most Pandits visiting are too old, can't climb, have no old association with the place. And older cousin of mine however did remember the quite little place near Chandipur where they would sometime go for excursion with Walden school. The lonely worker was carrying out repair for damage suffered by Stupa due to the flood of September. I remembered that this high terrace was buried under debris due to cloudburst and flood of 1973 and finally cleared in 1978-80. Coming in from some distance, I could hear the sound of men sitting somewhere inside an invisible security bunker. The sun was setting, it was time for me to move. I am convinced that when the place was conceived, the level of Dal Lake would have been higher. The site would have stood just next to the water body. In 1950s, you could just walk around Harwan and the now famous tiles could be seen strewn all around the place. Back them people hoped, it would be an open museum for the tiles. One the way back, I again lost the way. I couldn't figure out how to get back to the main road. Why was this Buddhist site placed here in the first place or have I missed something? And when was it built? Looks rather unusual and atypical? 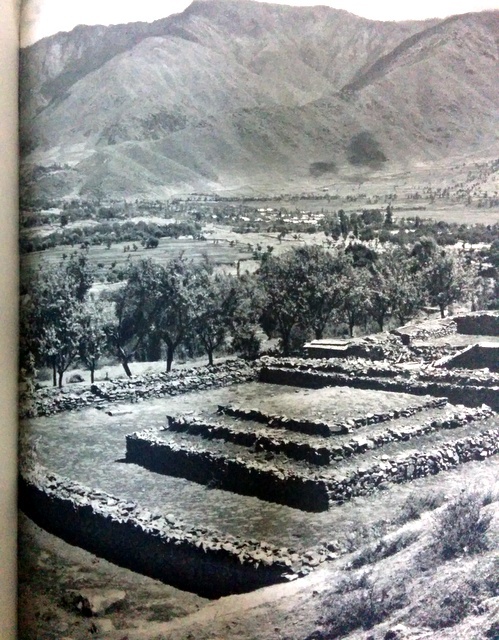 Aurel Stein in his edition (1892) of Kalhana's Rajatarangini identified terraced site of Harwan as Sadarhadvana, ‘The wood of six saints’, the place where once lived the famous Bodhisattva Nagarjuna of Kushan period in the time of King Kanishka. 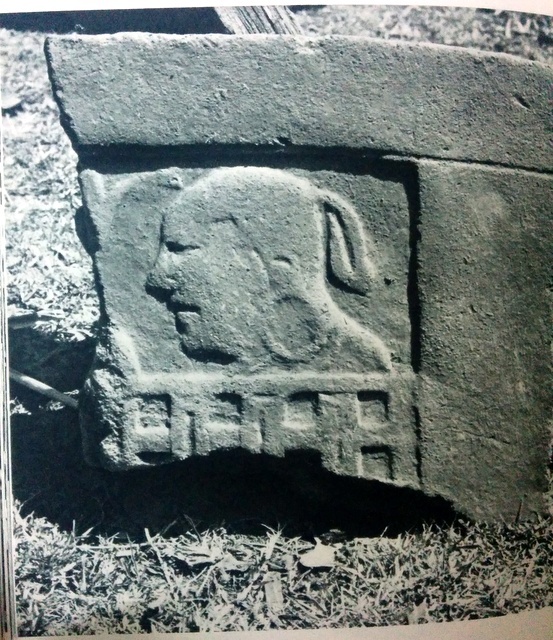 The site was first excavated in year 1923 by Pandit Ram Chandra Kak. Based on masonry styles Kak categorical the structures and findings into three types: (i) Pebble style (ii) Diapher Pebble style, and (iii) Diapher Rubble style. The pebble style being earliest in date, the diapher pebble of about 300 A.D. and the last one of about 500 A.D. and later.